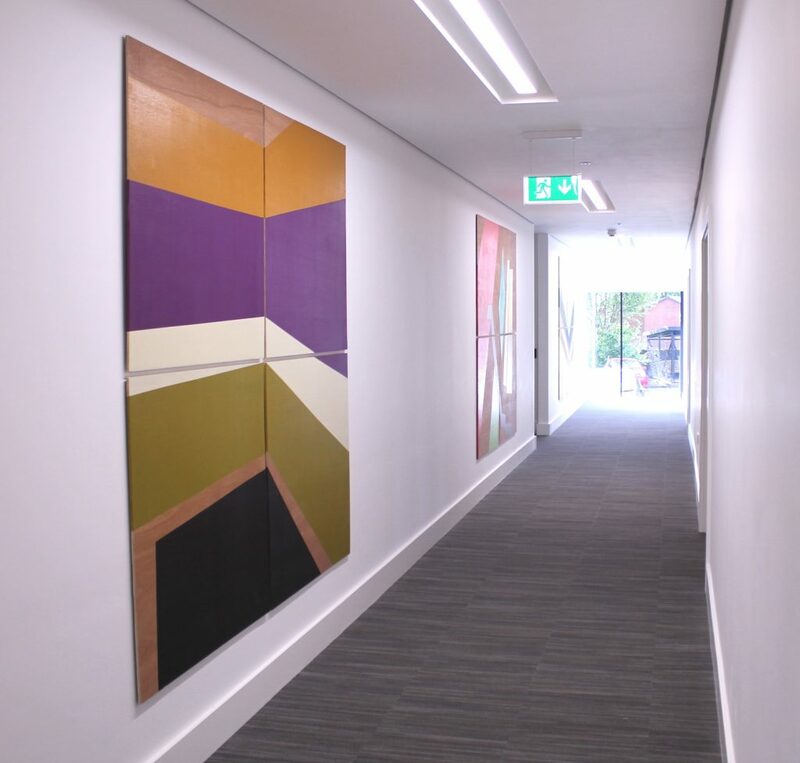 Lucy had worked with my colleagues in our Liverpool office and came highly recommended. 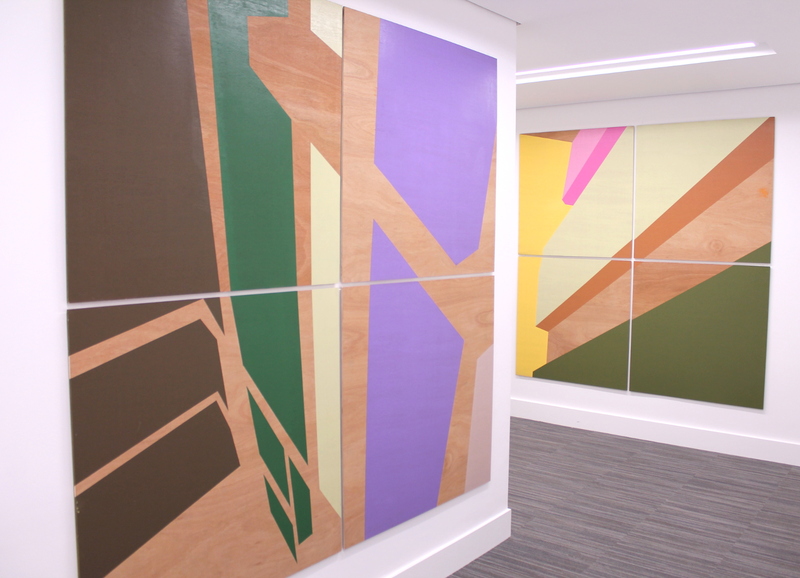 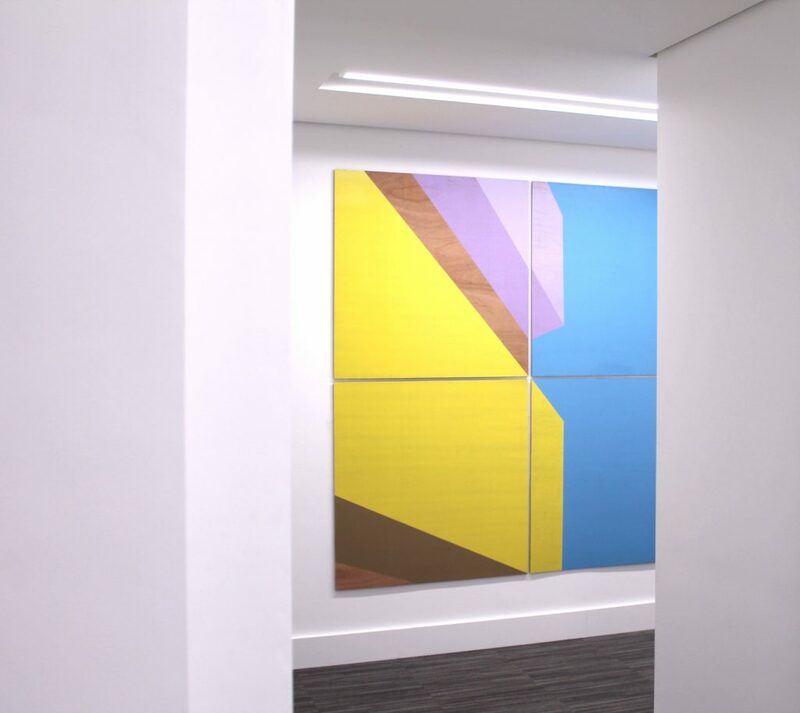 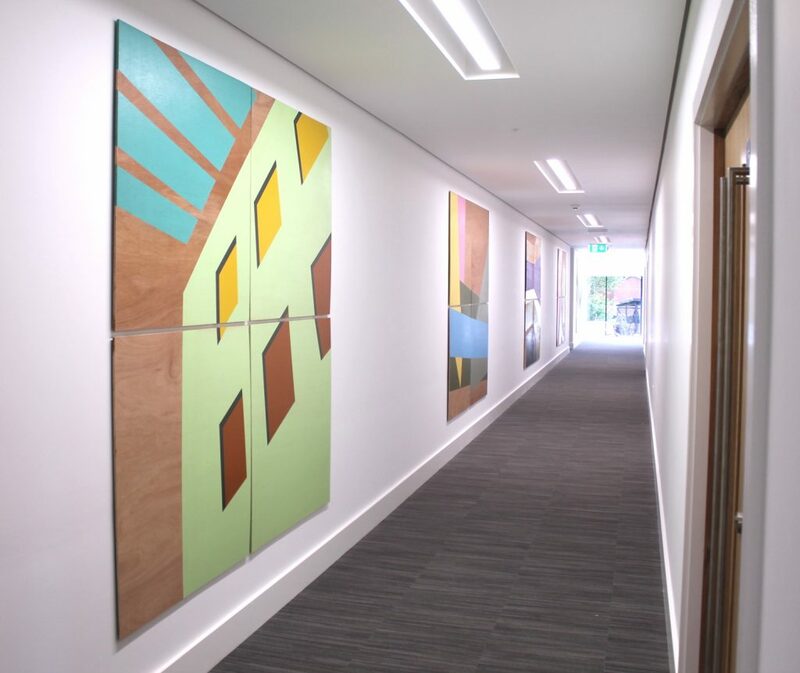 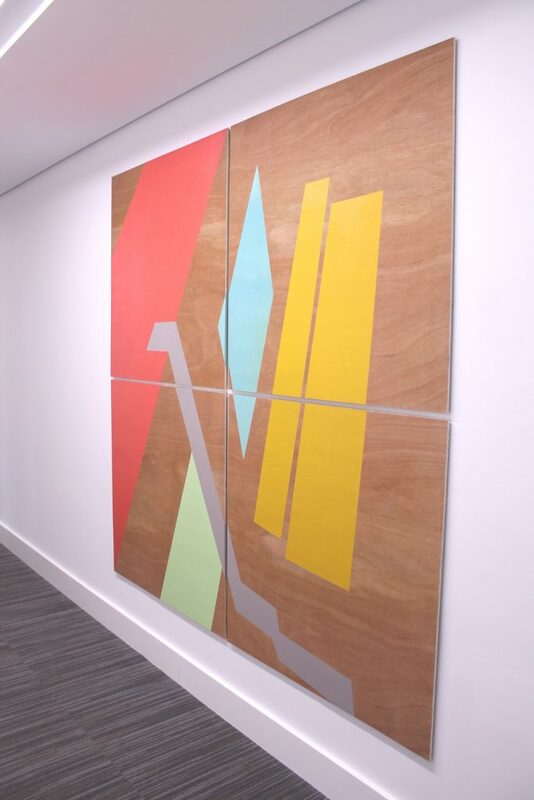 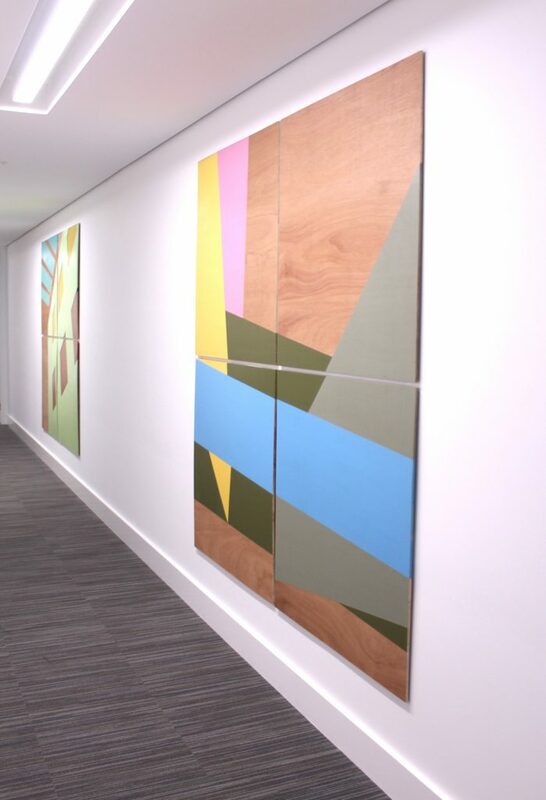 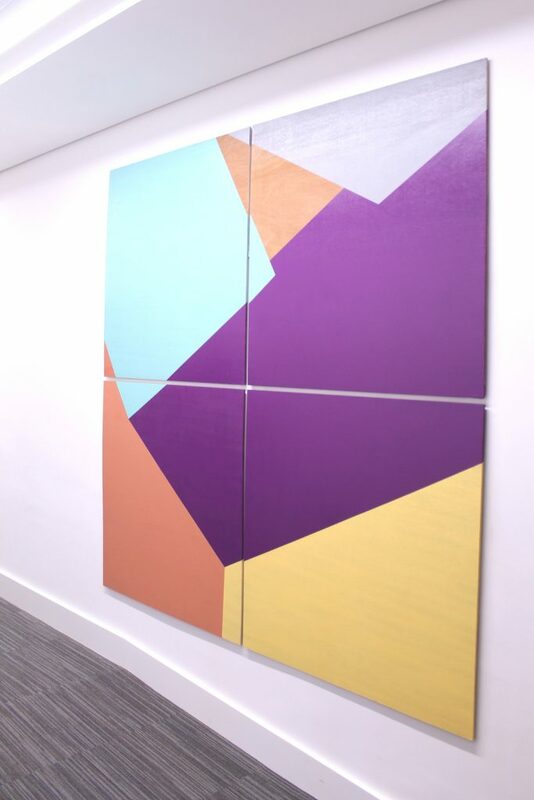 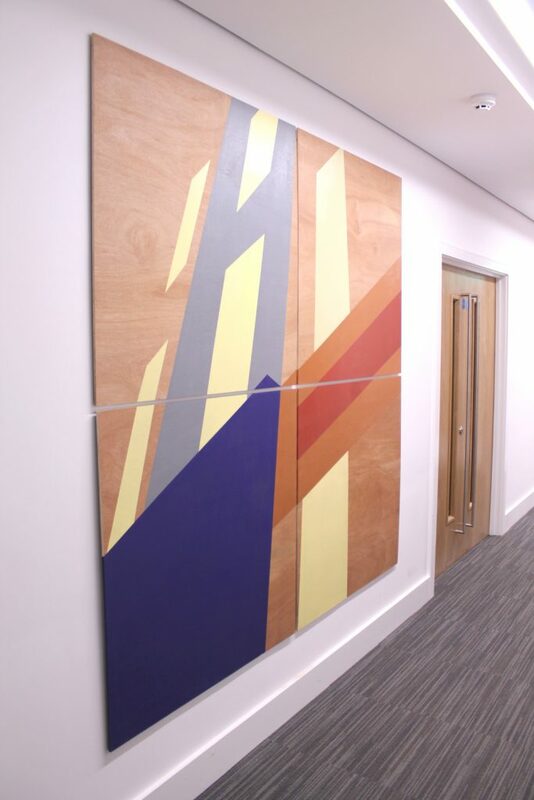 Bruntwood have worked with a few galleries and art suppliers through the years, but there’s always an opportunity for someone who can bring a fresh eye to our requirements. 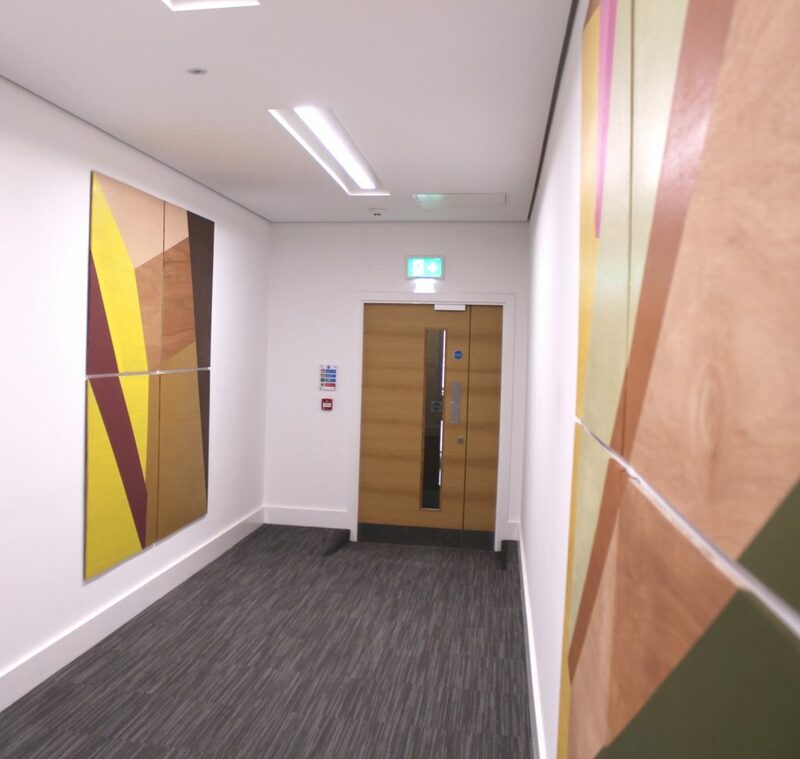 In this particular instance, a fresh approach to a timeless challenge – how to deal with a long white corridor! 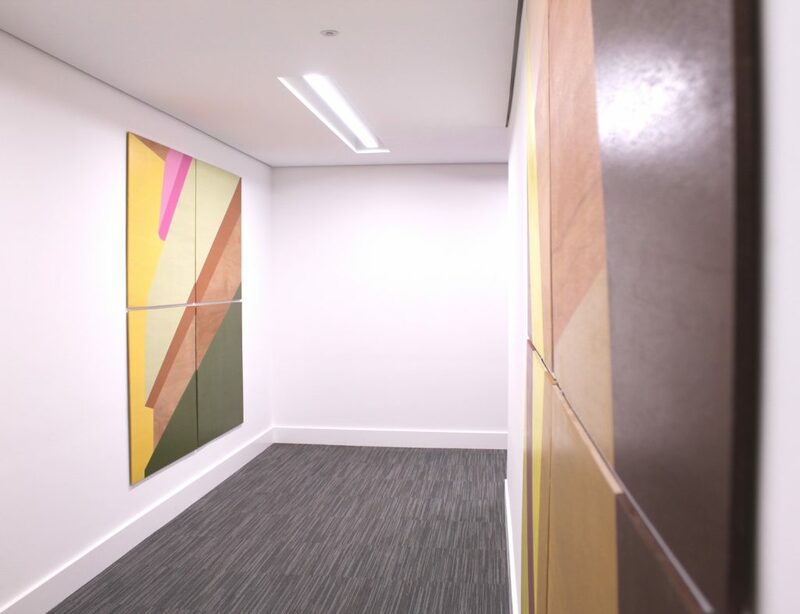 Absolutely – the work installed is bold and colourful, and deals with an awkward space in a creative way. 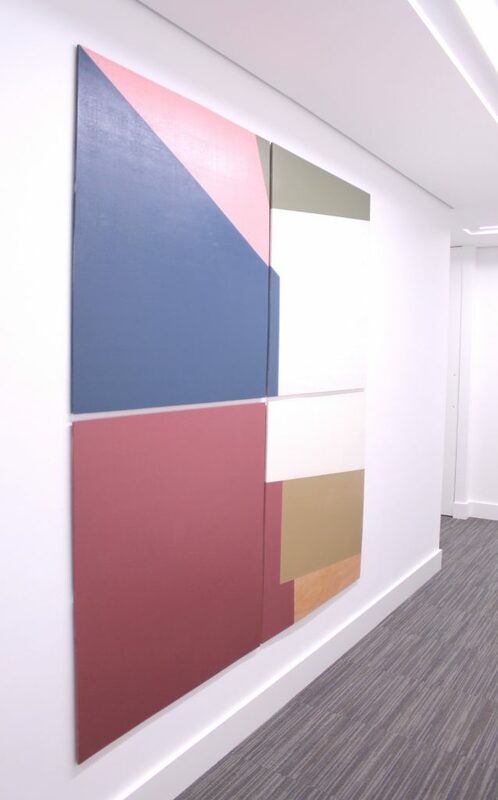 Really rewarding – from the intial brief, through early proposals and artist selection, and finally to the installation – very smooth and pain free. 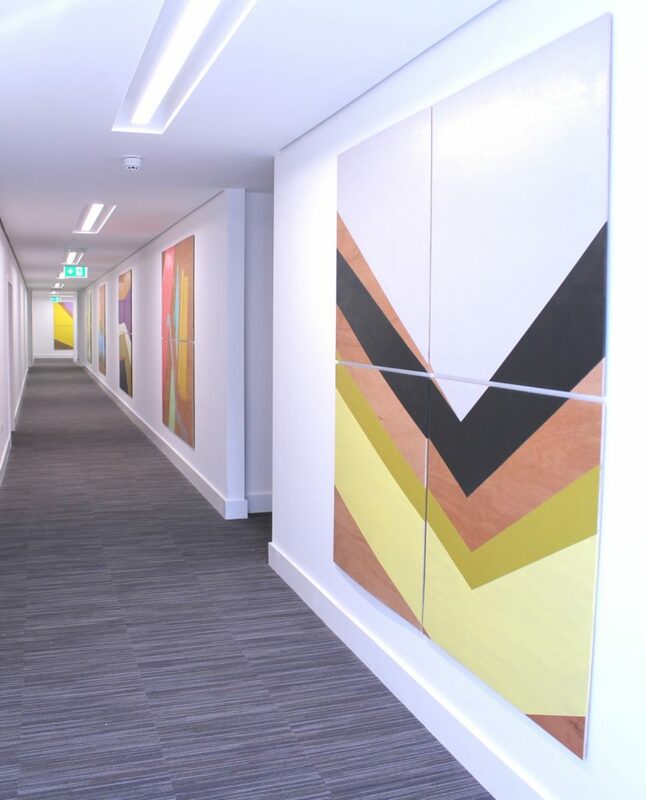 Bruntwood are already working with dot-art on another major project in Leeds, and we will be looking for further opportunities to work together.  Without a doubt – dot-art offer a great service, and Lucy’s friendly and creative approach makes her a pleasure to work with.